IPP provides conference organisers with attractive, modern ways for making information available to participants both before and during an event. 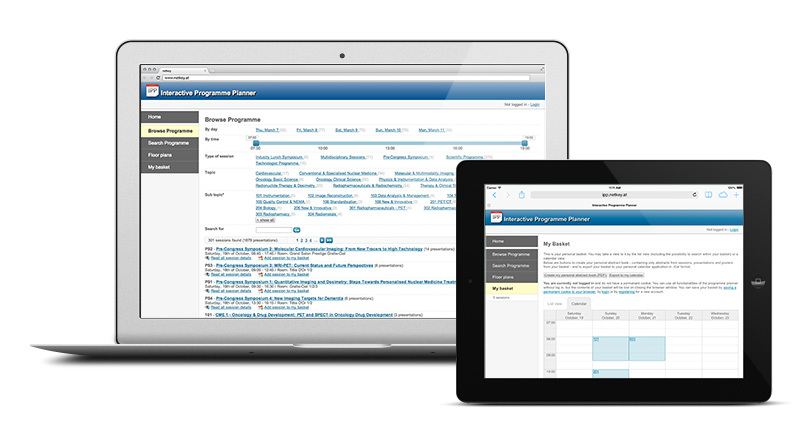 The main characteristics of the electronic online planner are a straightforward, easy-to-use user interface, clear organisation, and reusability of data that is of interest to the user. The application is optimised for desktop, laptop, and smartphones. IPP lets you create texts so you can present your conference delegates with individual guides. Contents are sorted by topic and prerequisites and can be searched through standard web search functions. Once participants have created their personal programmes, they can export them to different calendar formats, subscribe to them, or download them as a book of abstracts.